Liverpool take on local rivals Everton this Sunday at 4:15pm at Anfield. Liverpool travelled to Vicarage Road to take on Watford. A tight opening 45 minutes finally gave way to a three-goal salvo from Mohamed Salah, Trent Alexander-Arnold and Roberto Firmino in the second half, maintaining Liverpool’s unbeaten start to the season, which sees them sit second in the table behind Manchester City. Gylfi Sigurdsson’s second-half goal was enough to secure all three points for Everton against Cardiff at Goodison Park, with Marco Silva’s side rising to sixth in the league table. Liverpool will be without captain Jordan Henderson, who serves a one-match ban for his sending-off against Watford last weekend. Adam Lallana has returned to training this week but will likely make the bench at best. Alex Oxlade-Chamberlain remains the only long-term absentee. Everton are injury-free going into the Derby. Fancy a bet on Sunday’s game? Click here for the latest odds and offers! Despite not having much of an impact against PSG during the week, I think Salah will continue his good league form by scoring against Everton. It’s going to be a tight (and probably very physical) encounter, and the Egyptian could be the one to produce that bit of magic at just the right time. For Everton, Richarlison is very much the man – the Brazilian has six goals this season and continues to look like their main attacking threat. Liverpool would do well to monitor him closely. Alisson had a fine game against PSG despite conceding twice, and looks every bit the world-class goalkeeper Liverpool were after in the summer. He’ll be between the sticks for his first Derby match. Jurgen Klopp changed things up a bit at the back for the midweek Champions League game, so Trent Alexander-Arnold will come back in at right-back, with Joe Gomez shifting centrally again in place of Lovren. 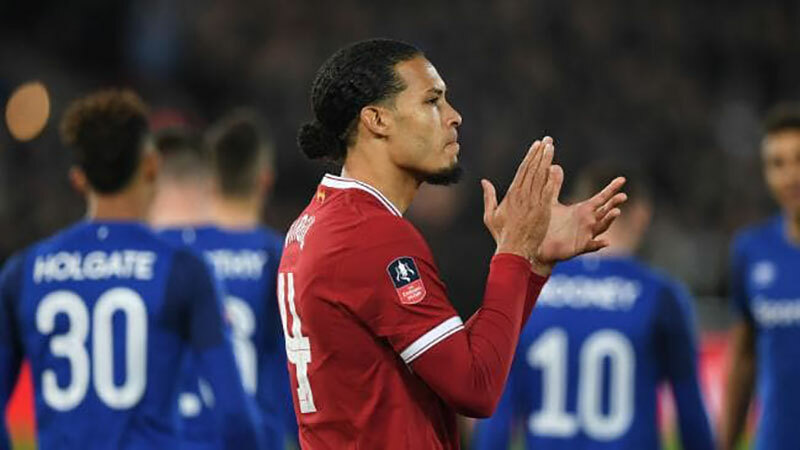 Virgil van Dijk and Andy Robertson make up the remainder of the back four. Without Henderson, I think Klopp will opt for a more dynamic midfield than that which played during the week: Fabinho, James Milner and Naby Keita. It’s time for Liverpool’s new No.8 to start showing why the Reds paid big bucks to secure his signature. Finally, the front three will remain unchanged, but I’d expect to see Xherdan Shaqiri and Daniel Sturridge make appearances from the bench in the second half. Predicted starting XI: Alisson, Robertson, Van Djik, Gomez, Alexander-Arnold, Fabinho, Milner, Keita, Mane, Salah, Firmino. Subs: Mignolet, Lovren, Moreno, Matip, Wijnaldum, Shaqiri, Sturridge. Score prediction: Liverpool 3 – 1 Everton (Mane, Milner (p), Salah; Richarlison).